With clear gaps already established between the frontrunners, the third and final day of Rally Sweden saw no changes at the top of the overall standings. Mikko Hirvonen and Jarmo Lehtinen ended their second rally with the Citroën Total World Rally Team by securing second spot on the podium. Sébastien Loeb and Daniel Elena keep the lead in the Drivers’ World Championship with the points awarded for sixth place and the best time in the Power Stage. Citroën also holds onto its first position in the Manufacturers’ World Championship. Much shorter and compact than the first two days, day three of Rally Sweden was disputed on stages not far from the service park: Lesjöfors, Rämmen and Hagfors, a stage previously used in 2010 and also the venue for the Power Stage at the end of the rally. A fine layer of fresh snow had fallen overnight and covered the roads as the drivers set off through the fir tree forests. More comfortable on his second runs, Mikko Hirvonen closed the gap to Latvala to 8.4s after his rival picked up a puncture on Lesjöfors 2 (SS22): “It was a very complicated stage, with a lot of gravel. I am pleased that I felt good in the car again. 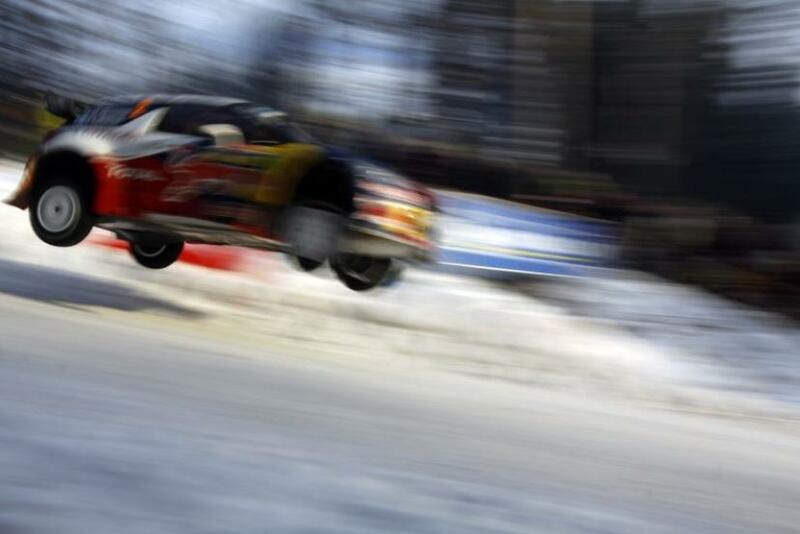 Jari-Matti’s puncture puts him under a little bit of pressure, but I’ll keep to my race plan. First and foremost, we have to finish the rally.” After Latvala gave himself some breathing space on the penultimate stage, attention turned towards the Power Stage.